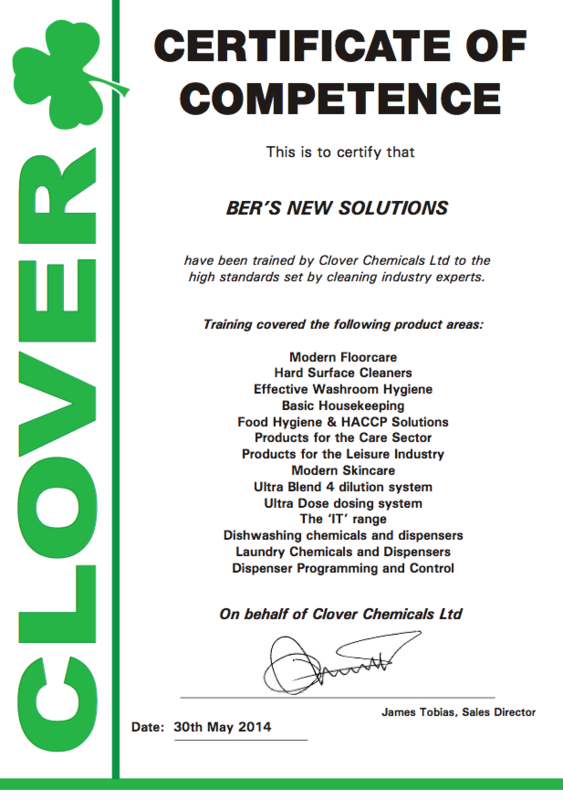 With an experience of over 10 years in the field, Bers New Solutions imports, sells and distributes brands of equipment and products in the field of cleaning professional. 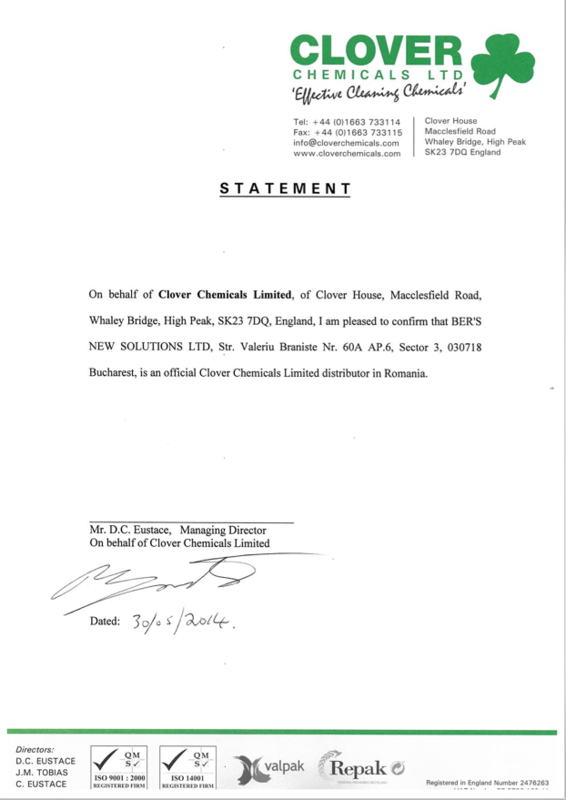 We are the official distributor of Clover Chemicals, Wetrok, Rotowash Caddy Clean, Lechmann (Lewi & Qleen) Ghibli & Wirbel and Goffex in Romania, but we also provide other international brands such as: Stolzenberg, Lucart, SPlast, HTC Twister. We guarantee a 5 star quality and a long term collaboration. 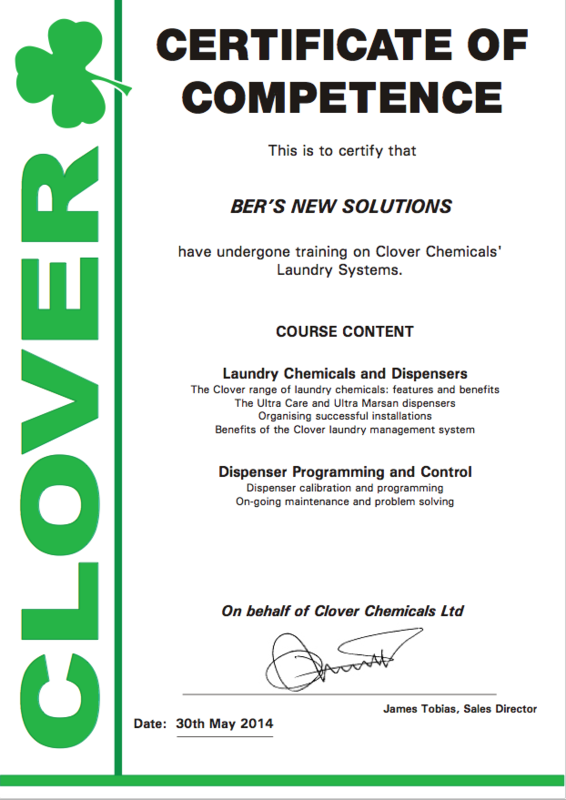 Bers New Solutions team offers free and personalized technical advice, and training for the equipment and machinery purchased by the customer. 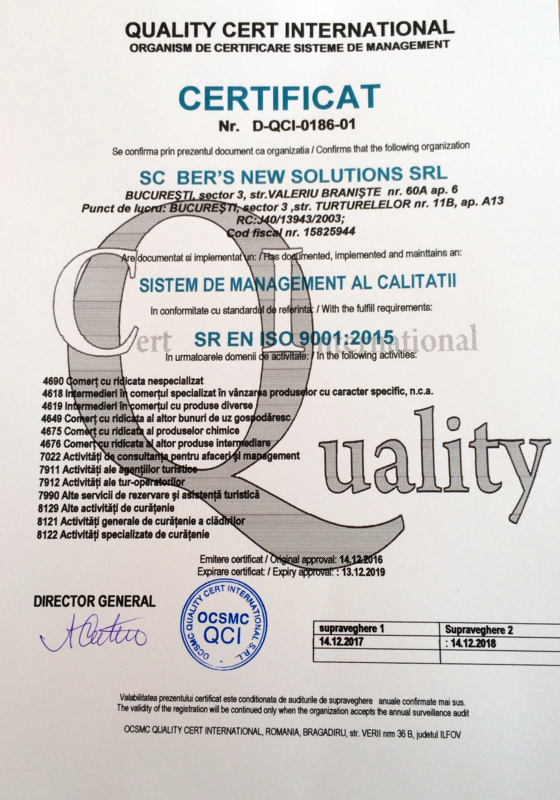 All products imported and marketed by Bers New Solution fall in international standards for quality and environmental management. Having a portfolio with a wide range of products and equipments, we address the following areas: public and private institutions, cleaning companies, HoReCa (hotels, bars, restaurants, etc. ), industrial, automotive, laundries, appliances and more. 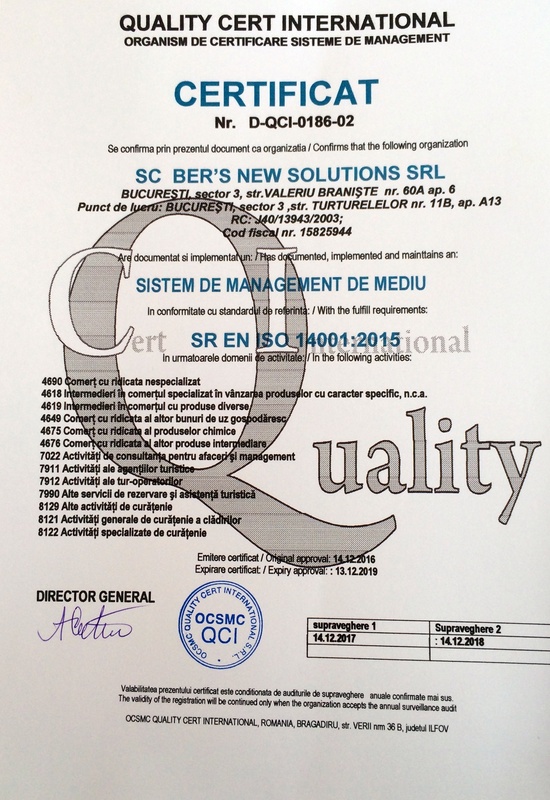 Wetrok creates innovations for professional cleaning processes with top notch Swiss quality in terms of the research and development of cleaning machinery and chemical cleaning products, paired with the definition and delivery of system and methodology competence. CaddyClean Scandinavia AB manufactures, sells and markets the product CaddyClean, the lightest and most versatile scrubbing machine for the professional market. The product has been on the market since 2000 and is designed and developed by an inventor from Gothenburg. Lehmann has been in the cleaning products since 1895, the tradition and experience recommending a daily basis. The company offers reliability, quality and excellent service by ranges: Lewi, QLEEN, PURAQLEEN, CARBONEPOLE, TITANPOLE, ROTAQLEEN. Being a medium-sized company with private capital, supports customers worldwide, providing not only quality tools and systems for internal and external cleaning, and funding and individual services. Goffex Handels GmbH, headquartered in Übach-Palenberg, offers a wide range of professional cleaning equipment and accessories of high quality, which include: microfiber cloth, buffing pads, flat mops etc. It was founded in 1989 as a family company with Polish capital, specializing in technical injection molding plastic. 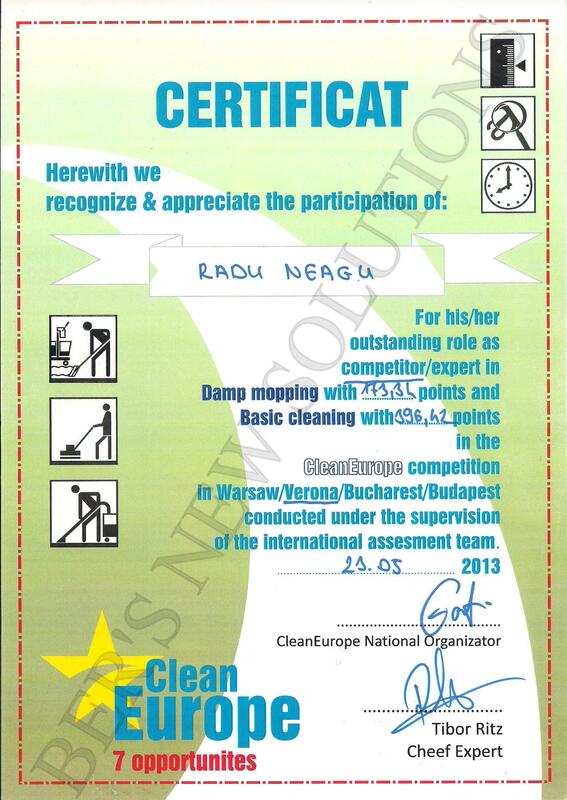 With an experience of over 16 years, Splast is the largest European manufacturer of equipment that are used for cleaning offices, hotels, hospitals, schools, factories etc. Ghibli and Wirbel boast a history, that reaches back in the past years up to our present days introducing themselves to the market side by side and sticking to the Italian manufacturing traditional values, passion for work and for the renowned “ Made in Italy”. All that is not just a novelty or a change of image, but a serious commitment to cope with today market challenges.